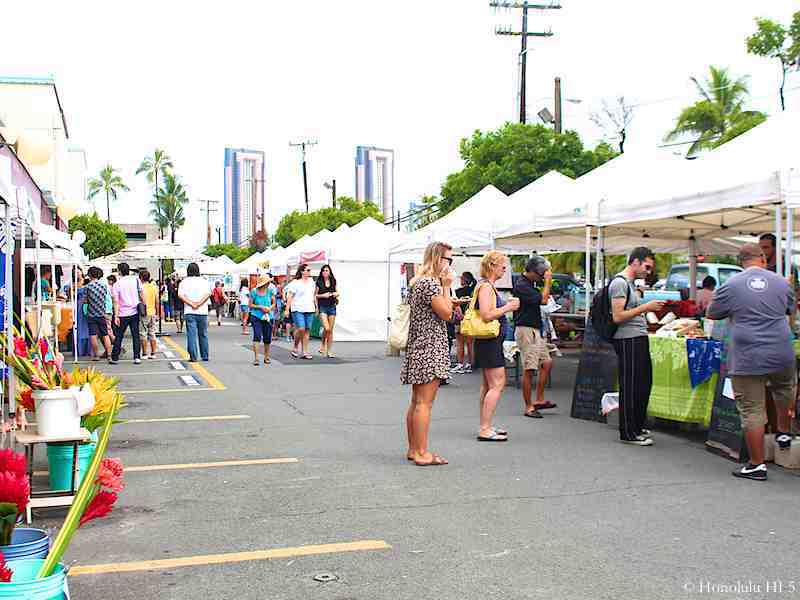 This used to be the Ala Moana Farmers Market, but their old location is now a construction site, so the event moved west to Ward Warehouse. Certain locals have started to come here instead of KCC, due to the crowds there and KCC’s growing focus on appealing to the tourist trade. 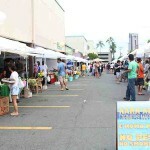 Kakaako isn’t nearly as large, of course, but it does have a better balance of fruit & produce and food/plants/products. MAO Organic Farms is always here with everything organic, including salad mixes that sell extremely fast. 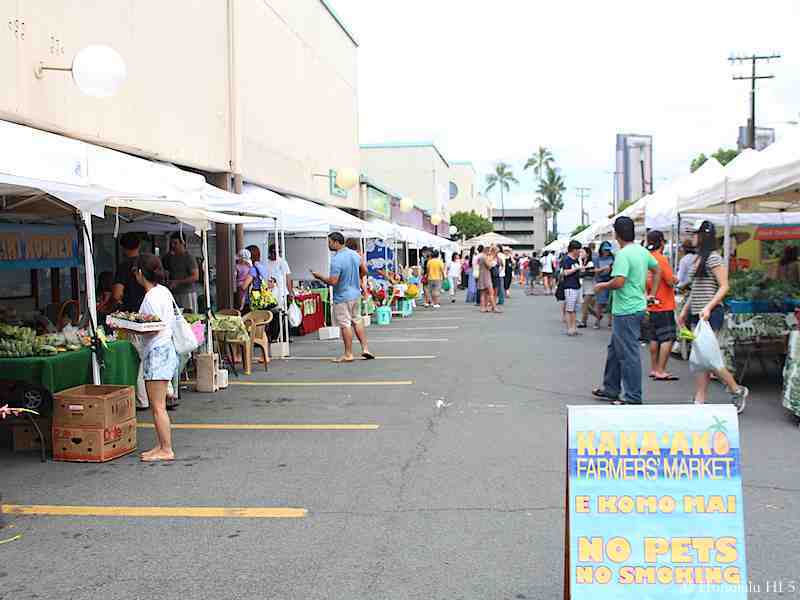 You’ll also find Kozen Farms from the Big Island with seasonal produce brought over from the Neighbor Island. Locals, and you too, might also like being able to talk with the sellers a little bit , rather than only getting the attention of a busy merchant when you’re ready to check out. It’s just an unfortunate fact of life at some markets, but not here. 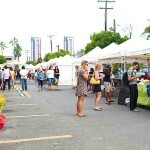 The booths are laid out in the parking lot on the Mauka (Mountain) side of the mall. Another great advantage of this location is that parking is plentiful, taking one major headache off the table. Ward Warehouse is a large shopping center itself, so there’s much to see and sample before or after your time at the tents.